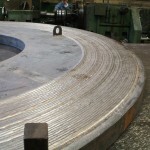 Hard surfacing - Recovery welding of forging dies | REISA S.A.
We are experts in the treatment, HARD SURFACING BY WELDING and machining of heavy industry components that are subject to heavy wear as a result of their work. Steel , back-up and straightening rollers, rollers for cement kilns,shafts, crane wheels and rolling racks, etc. 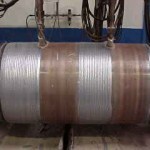 All types of deposition welding jobs. Preventive or recovery welding surfacing represents a substantial saving, prolonging their useful life, reducing costs and improving the planning of tooling. 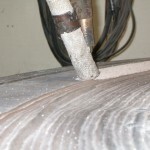 A decisive factor for carrying out deposition welding with success is knowledge of the conditions of wear to which the component has been subjected. 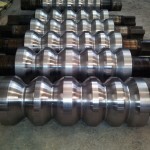 Whether the wear is due to friction, corrosion, cavitation, erosion or temperature. These conditions will be what tells us the appropriate consumable to use. For their recovery, we use alloys designed for every type of application, including shot work steel, stainless steel, Co-based, Ni-based, etc. with hardnesses after heat treatment that can reach 60 RC. At our Bilbao Industrial Welding facilities in Sopelana (Biscay), we carry out recovery by welding jobs (deposition welding) in Bilbao.